Fall Lodging Savings Are in Full Swing! 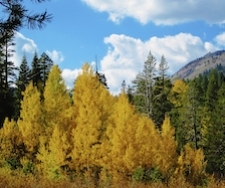 If you’re a Truckee or Tahoe enthusiast, then you know the secret about fall. It’s a wonderful, quiet time of year; time to really relax at the lake, a time to enjoy the warm days and cooler nights and to truly relish all that Truckee and Tahoe have to offer. Sip a glass of wine by Donner Lake and watch the alpen glow, stroll through Historic Downtown Truckee and shop for holiday gifts (the season is upon us!). Take a hike through Paige Meadows and savor a freshly brewed espresso from Tahoe House while watching the squirrels anxiously gather for winter … it’s the beauty of fall in the area. Midweek nights; stay 2 nights and save 33%. Weekend nights; stay 2-3 nights, save 20%. *Rates and promotions are subject to change, blackout dates, nightly minimums and inventory cutoffs. If you’re a lucky one who’s booked with us during Miracle March and these wonderful powder days, we’re happy to help guide you in the direction of ski lift tickets, gear rentals, helpful local tips, transportation and such. Don’t hesitate to contact our Front Desk!